You may have encountered the issue that when you try to log into your Gmail account after some time, you end up forgetting the password of it. Gmail is one of the most popular email tools all over the world, which can be quite dangerous if your Gmail account gets hacked and the hacker changes the password. 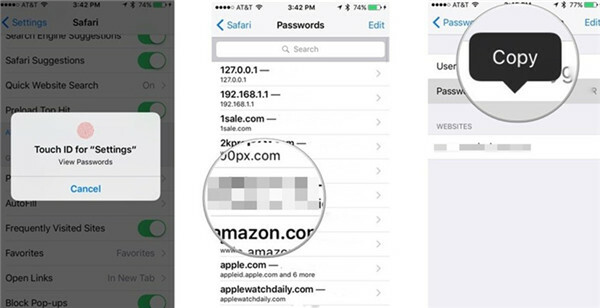 Some people may have applied third-party apps to save all their passwords at a single place. However, many of us do not do that. So how can you recover your Gmail password or just create a new one? You can follow the 5 ways in this guidance to get access back of your Gmail account. Most things in iOS can be accessed in the Settings app. You can actually recover Gmail password from iPhone with it as well. Have a look at the following simple steps and you will be able to make it. 1. 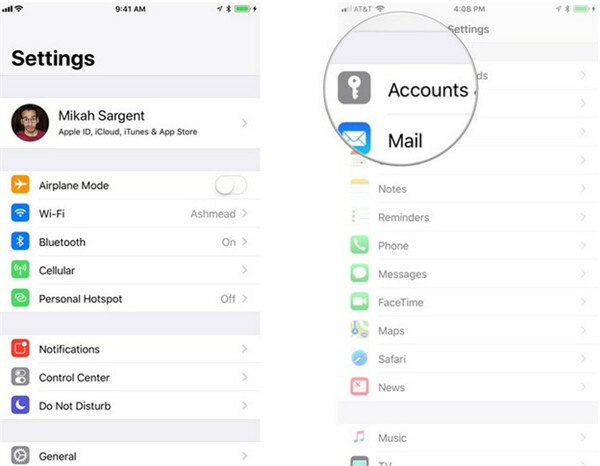 On your iPhone home screen, find the Settings app to run and then drag down to click on the tab of “Accounts & Passwords”. 2. 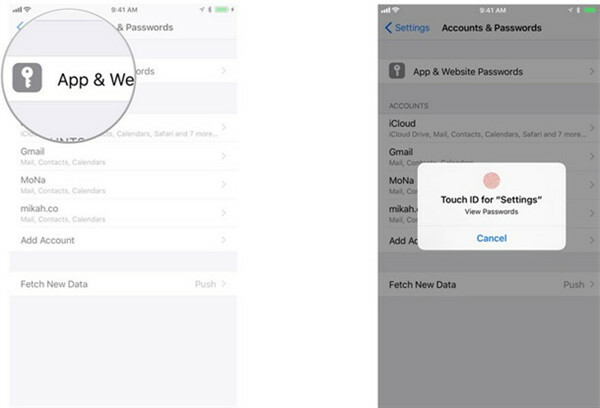 Tap on the option of “App & Website Passwords” and then use your Touch ID or Face ID to authenticate. 3. Afterwards, you will see a list of saved passwords. You can click on the “Search” field to find the Gmail password you need or just scroll through the list to find it. After you find the Gmail entry, you can click on it to show the associated username and password of your Gmail account. This is quite easy to handle to recover Gmail password on iPhone. You can try this method to help you to achieve your aim. If you forgot Gmail password on iPhone, you can get it back from the Safari saved passwords. The Safari has a feature of autofill, which can save passwords in Safari’s iCloud Keychain on iPhone. Here let’s see how to recover Gmail password from iPhone via this solution. 1. On your iPhone, you need to launch the Settings app from the home screen and then drag down to find “Safari” tab to click on. 2. Tap on the option of “Passwords” under the section of “General”. 3. Make use of your Touch ID to log in, or enter your four-digit code if you do not use Touch ID. 4. Drag down and click on the Gmail entry that you want the password for. After that, you can press and hold the password tab to copy it. Click on the “Copy” button and then paste the Gmail password into whatever field you want on your iPhone. This solution to recover Gmail password on iPhone is not hard at all. If this is the way you are fond of, you can apply this method to help you in case you need. If you can not remember your Gmail password, you can also resort a web browser like Safari to help you to recover Gmail password from iPhone. As for how to make in detail, the following paragraphs will show you clearly. 1. First, you need to navigate to the website of Gmail to enter the log-in page. Then, you need to enter your Gmail ID in the box of “Email or phone” and then hit the “Next” button to continue. 2. Afterwards, you can use the mobile number verification to find back the Gmail password. a) You just need to enter your phone number or mobile number and then tap on the button of “Send text message”. b) A verification code will be sent to your phone number, and then you can use it to recover Gmail password on iPhone. 3. If you fail to use the registered mobile number due to any issue. You can click on the button of “Try a different question”. For instance, you can use the Email verification to assist you to get rid of this problem. 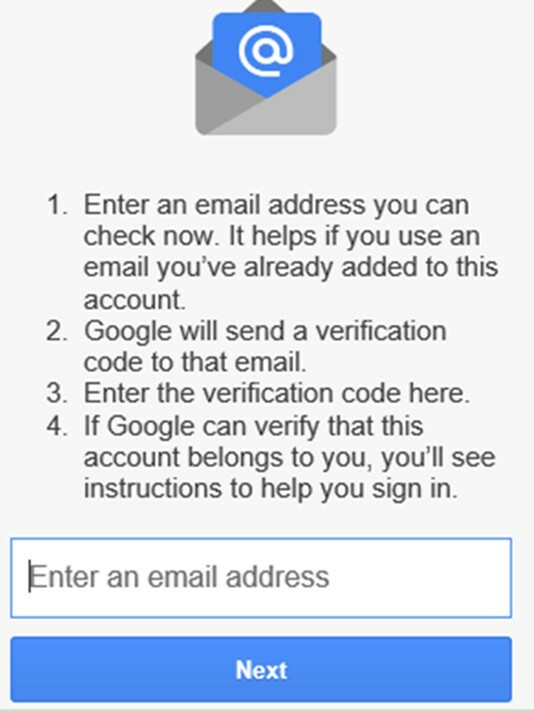 a) You just need to enter your current Email address and then Google will send a verification code to your Email. b) After that, you can use the code you received in the Email to recover Gmail password from iPhone. It is a bit complex to use this method to recover Gmail password on iPhone. If you dislike this one, you can continue to read this tutorial to find the solution that suits you. To recover Gmail password from iPhone Mail app is also a good idea when you can not remember the password. Check out the following steps, and you will know how to get this task done perfectly. 1. 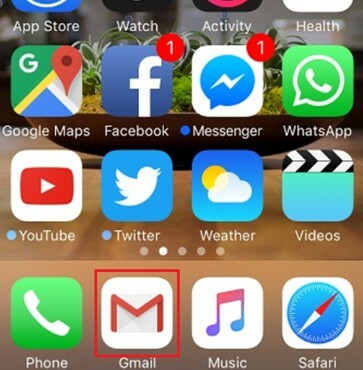 Run Gmail app on iPhone and then click on the tab of adding an email address. After that, you need to click on Google icon and then enter the email associated with the Gmail account in the labeled field. 2. Click on “Next” button and then hit on “Forgot password” under the password section. Gmail will ask you questions to confirm that you are the account owner. You need to enter the answer and then click on “Next” button to continue. 3. A panel will show up on the screen where you have to select one method to recover Gmail password from iPhone Mail app, including recovery through phone, through recovery mail ID, providing answer of security question. 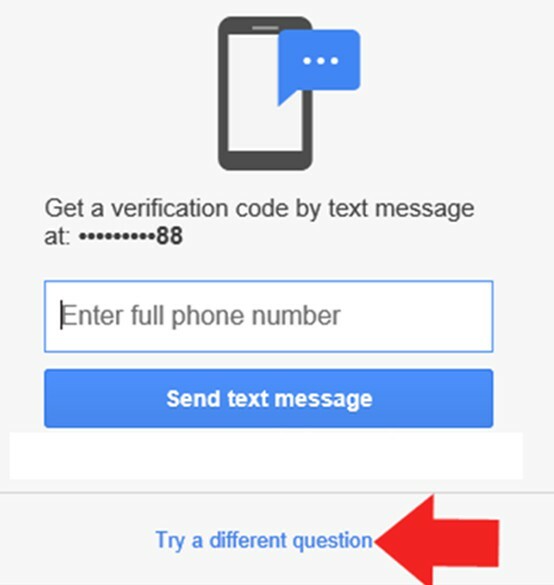 a) Recovery through phone: If you choose to use phone number to recover the password, you will receive a code on the phone. Thus, you can enter this code in the verification code field to move to the page to reset the Gmail password. b) Recovery through email ID: If you have already offered another email ID at the time when you create the Gmail account, you can use this method. You will receive a link in the alternate email. Click on the link and then you can follow the onscreen instruction to reset the Gmail password. c) Recovery through giving answer of security questions: You need to answer the questions it shows to you, such as when you last logged in, what is your birth date, what is your security question and etc. After replied to the questions with right keys, you will be able to reset the Gmail password. 4. In the end, you need to enter the new password two times in the labeled field on the page to reset password and then click on the link to change the password successfully. 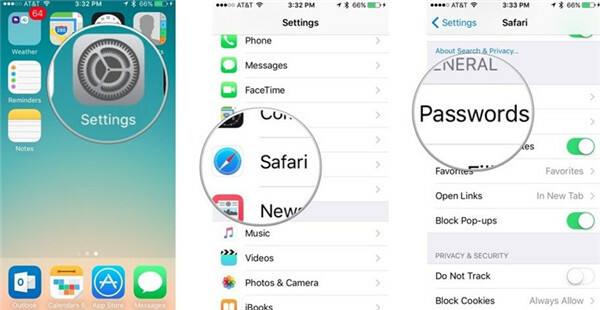 After you follow the steps shown above, you can recover Gmail password from iPhone Mail app perfectly. Thus, you can use your Gmail account again on your iPhone. 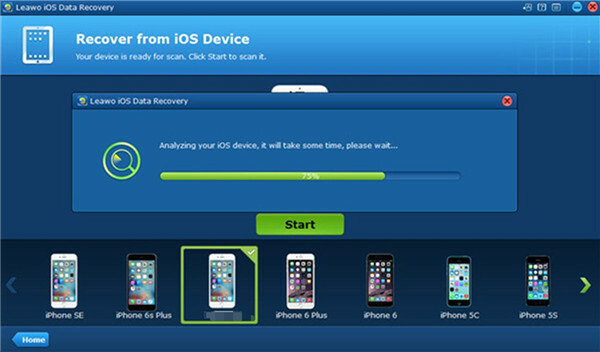 If you desire to find back the iPhone data that you have removed, you can use Leawo iOS Data Recovery to help you. This tool is quite easy and useful when it comes to recovering files on iOS devices. It could recover the photos, messages, contacts and so on from iOS devices, iTunes/iCloud backups efficiently. 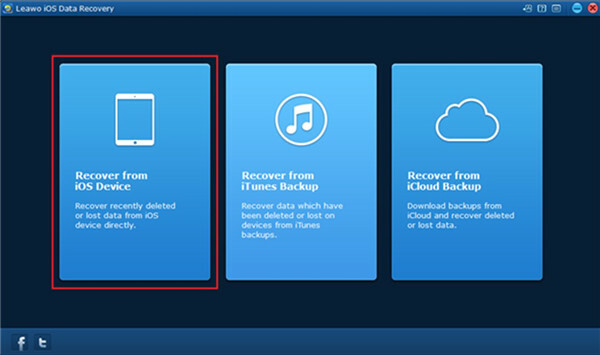 You can refer to the step-by-step instructions shown below to see how to make use of this software to recover data selectively from iPhone. Contacts will be taken for instance in this part. Find a proper USB cord to connect iPhone with computer and then run the software on computer as well. 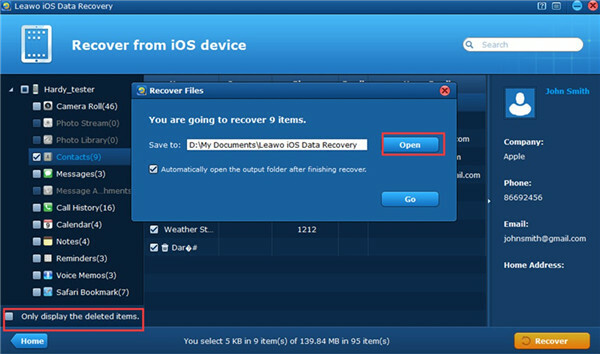 Choose the option of “Recover from iOS Device” to tap on. Hit on the “Start” button and the program will begin to scan iPhone data. Wait until the scanning process comes to an end. From the left sidebar, you can click on the data tab that you desire to recover to computer, such as contacts, messages and so on. After that, you can click on the option of “Only display the deleted items” at the bottom left of the interface. Thus, you can choose the detailed data that you want to recover. Hit on the “Open” button to select one computer folder to save the recovered files. Finally, you can click on the “Go” button to invoke the recovering process. After a while, the recovered files will be available on computer local folder. This tool is quite convenient for you to make use of. You can apply this software to find back various kinds of files that you have deleted from iPhone. Now you can download and install it on computer to have a try. Based on the solutions shown above, you can choose one method to achieve Gmail password recovery according to your situations. It is also not hard for you to reset the password if you can pass the account verification process and remember some information about your Google account.